: This recipe probably tasted more or less like the previous “Dry-Steamed” Pork (乾鍋蒸肉) and Pork in Lidded Bowl (蓋碗裝肉) recipes, which in turn tastes more or less like pork stewed in a crock. : First time I’ve heard of a Chinese baking technique using burning rice chaff. A rareness in among rareness. : Seal your container well, oherwise the pork will end up tasting like smoky rice chaff. Prepare the pork as with the previous recipe. However, place the large bowl directly on top of a hand-warming stove  to cook. : The recipe probably tastes more or less like the previous “Dry-Steamed” Pork (乾鍋蒸肉) recipe, which is in turn more or less pork stewed in a crock. : Shoulu (手爐) is a small hand-warmer carried by people in their sleeves during the old dynastic days to warm their hands on particularly cold days. Whether this dish uses an actual hand-warming stove or just a small stove, I don’t know. Chop the pork into cubes and combine with sweet wine and autumn sauce in a small bowl. Place the small bowl into a larger bowl, then seal the large bowl and place it into the wok to “dry-steam” for a period of two incense sticks without any water. The quantity of autumn sauce and wine to use depends on one’s taste and the quantity of meat being prepared. In general, the braising liquids should just cover the top of the meat. 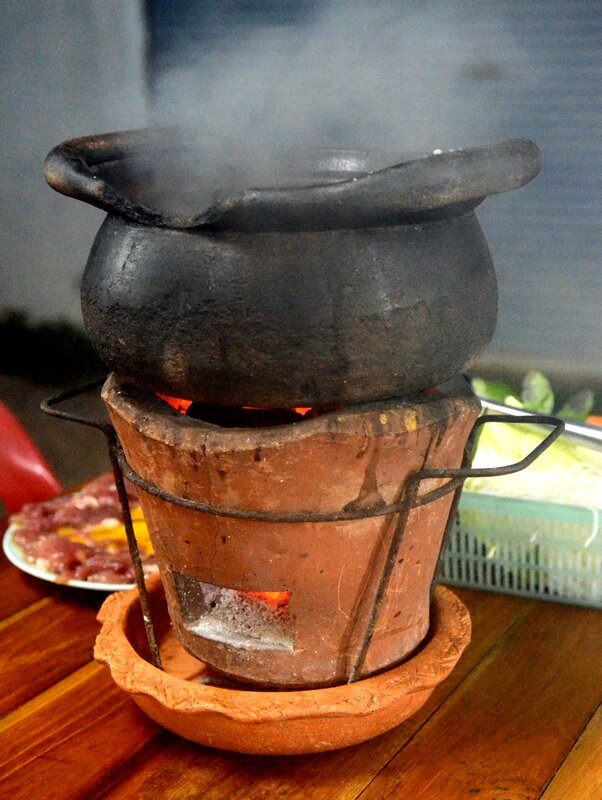 : Yuan Mei’s dry-steaming process is basically using a wok to do Western style dutch-oven/ceramic pot type stewing, somewhat akin to a cassoulet. 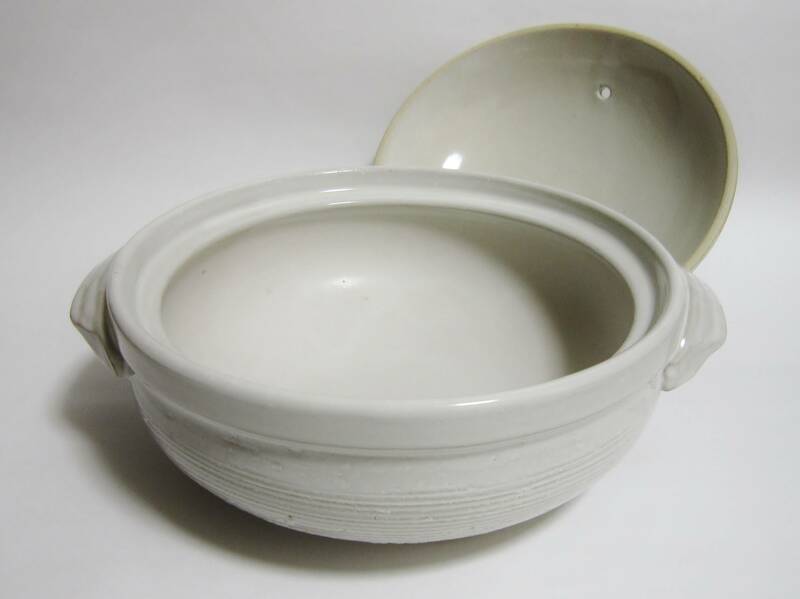 : Actually cibo (磁缽) means “earthenware mortar” or “earthenware alms bowl”, basically a thick-walled ceramic bowl. By cooking with one thick-walled ceramic vessel inside another all baked inside a wok, the actual cooking heat would be low, slow, even, and perfect for braising. Pork tenderloin is fine textured and very tender. However, most people do not know how to prepare it. I had a tenderloin at Yangzhou Prefect Xie Yunshan’s banquet that was delicious. The meat was sliced, coated in starch,  then simmered in shrimp broth with shitake and laver. It must then be immediately removed from heat when cooked. : Gan (甘) is one of those Chinese words that is a bit difficult to translate into English. Although its most straightforward translation would be the word sweet, it is usually used to describe a pleasant taste that is not overtly sour, bitter, or salty, but also not quite “sweet”. 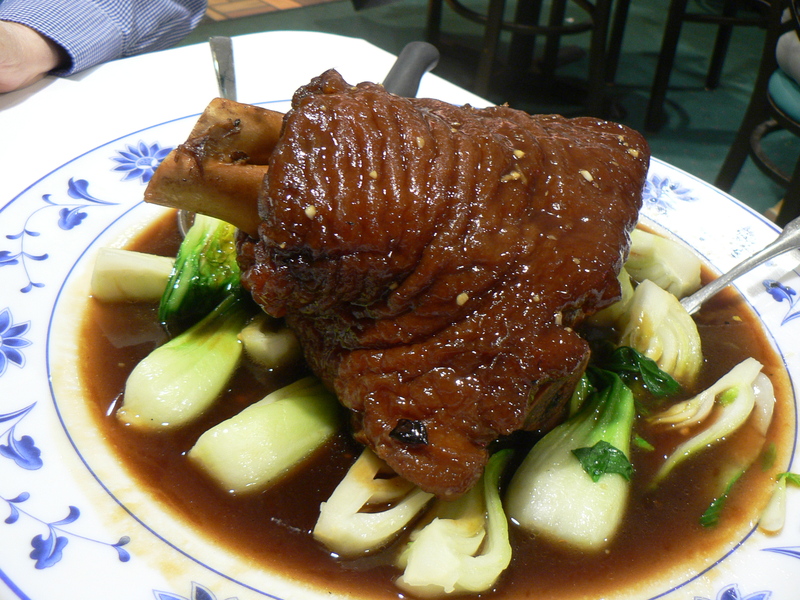 In Taiwan, the word is used extensively for describing the more “elusive” tastes, for instance, the pleasant taste of emulsified fats such as mayonnaise and creams, or that pleasant aftertaste one gets from eating things like bittermelon. 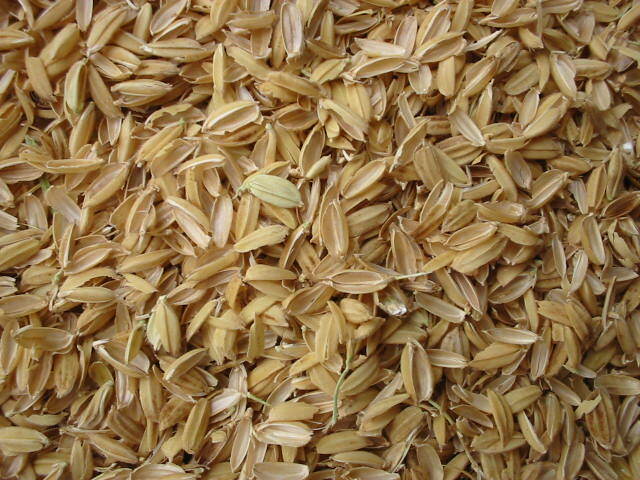 For tenderloin cooked in shrimp broth, shitake, and laver, gan is most likely used for referring to their umami tastes (鮮) or at least the taste’s more delicate aspects. To convey the standard sweet sense of taste meant by native English speakers (sweet like sugar), the word tian (甜) is used instead. : This technique is called “velveting” by some. When you have the choice, use either potato, arrowroot, or sweet potato starch. Corn starch performs poorly for this purpose. : I was thinking that this was served as a soup but truth be told, but it could just as well be just the tenderloin slices. You decide. Prepare the lung by boiling it in a mixture of water and wine for a day and a night. When the lung has shrunk to the size of a white hibiscus blossom, floating on the surface of the liquid, season as required and serve. The lung should be so tender that it falls apart and melts in the mouth. When the Ancient Official Tang Ya  hosted banquets, each bowl would be served with four pieces of lung that were originally prepared from four whole lungs. People nowadays no longer have such skill, thus the lungs are prepared by tearing them into small pieces and cooking them in chicken broth until soft, which is still good. This preparation is even better using pheasant broth, which accompanies the gentle flavours of the lung with its own delicate flavours. One can also braise the lung with good ham. 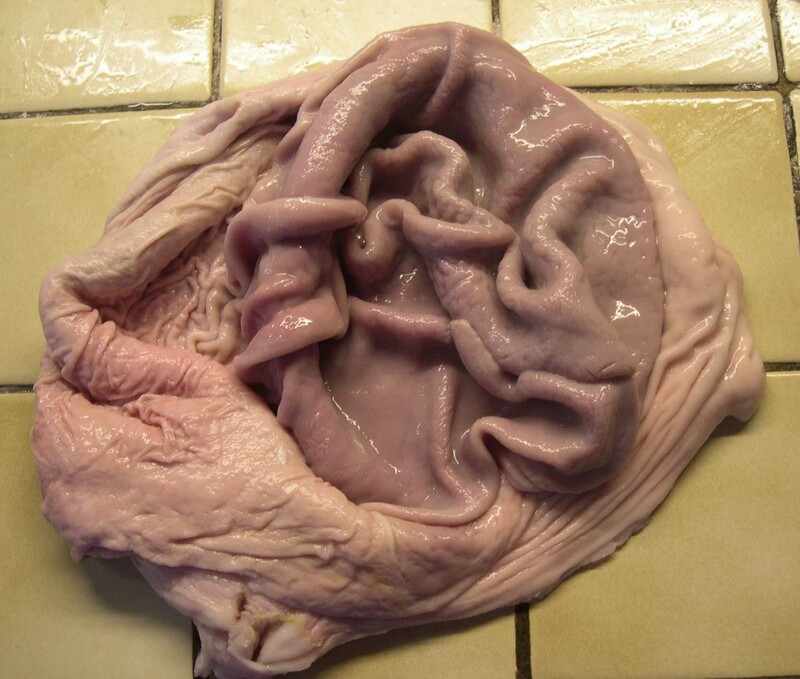 : Just when you thought pig stomach was a pain to clean, along comes pig lungs. To be honest, I didn’t think the lungs were eaten, but I should have known better. It seems to be used as a restorative in Chinese medicine for, not surprisingly, the treatment of lungs and respiratory systems related conditions. The traditional process for cleaning lung as described by Yuan Mei is messy and tedious, but thankfully technology in the form of commercial kitchen faucets and pressurized water sources has spurred on the development of an innovative “flow-through” lung cleaning technique. Just look at that snow white colour of those cleaned lungs! : These are the branching cartilage supported tubes that bring air into the depths of the lung, so you (or the pig) can breath. : The modern recipes I have looked at don’t removed the bronchial tubes. It seems you just slice everything up and then braise. : Shaozai (少宰) appears to some sort Vice Administrative Official from Zhou dynasty. In the case of “湯崖少宰”, I’m assuming 湯崖 is the person’s name.